Delivers highly relevant messages to potential customers through the power of traditional television advertising combined with the precise targeting capabilities of digital technology. Captive audience. 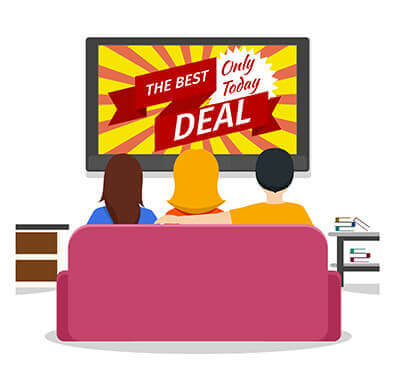 Connected TV ads typically cannot be skipped while they play on the biggest screens in the house. Growing in popularity. Roku, Apple TV, and Amazon Fire TV are just a few of the available connected TV devices. Accurate segmentation. Audiences already segmented by channel can be further segmented based on location and demographics. Reach cord cutters. Continue reaching traditional TV audiences as they move away from traditional viewing behaviors. Connected TV will benefit any pool construction, service, hot tub, or retail company that wants to reach a highly relevant captive audience.